Theresa Barfield has two decades of experience litigating large, complex cases and has built an impressive record of success for clients using every aspect of litigation at her disposal, including courtroom trials, binding arbitrations and favorable settlements. 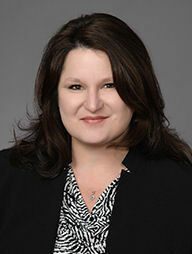 Theresa represents Somach Simmons & Dunn’s clients in litigated matters including administrative proceedings, bench trials, jury trials, writ proceedings, and alternative dispute resolution before state and federal trial and appellate courts, including the U.S. and California Supreme Courts. Much of her ability to deliver favorable results for her clients has been formed through her unique experience working in equal parts during her career on behalf of plaintiffs and then on the defense side. She began her career as a passionate advocate for plaintiffs seeking consumer justice and compensation for serious personal injuries, and a decade later moved to the defense side where she worked on behalf of a range of clients including large developers and insurance companies. No matter who the client or what the subject matter, she brings a unique ability to use litigation to work tirelessly to obtain positive results for clients she represents. Among Theresa’s specific achievements are co-chairing a 3-month jury trial in Contra Costa County that included complex expert testimony in the areas of geotechnical engineering, geology and civil engineering that resulted in a complete defense verdict in face of $20M in exposure, including securing a post-verdict cost award. She has extensive experience with all aspects of case management for high exposure complex civil litigation cases, many involving as many as 50 parties and including millions of dollars of exposure. She is admitted to the State Bar of California, as well as numerous Federal District Courts, Circuit Courts of Appeal and the United States Supreme Court. When she’s not advocating on behalf of her clients, she’s advocating on behalf of the Folsom High School Music Boosters, where she serves as a board member, helping to support the school’s nationally-recognized music program through fundraising activities, including the renowned annual Folsom Jazz Festival. Theresa also volunteers as District 2 Governor (Sacramento County) for California Women Lawyers, working with fellow Board of Governors members and affiliated organizations to advance women in the profession of law. State of Texas v. State of New Mexico and State of Colorado, In the Supreme Court of the United States, Case No. 141, Original. Member of trial team representing the State of Texas in original jurisdiction proceeding before United States Supreme Court regarding enforcement of the Rio Grande Compact. Byron-Bethany Irrigation District v. California State Water Resources Control Board, et al., Santa Clara Superior Court, Case No. 1-15-CV-285182 (JCCP 4838). Represent Byron-Bethany Irrigation District (BBID) before the Santa Clara County Superior Court in the California Water Curtailment Cases, wherein the court recently issued a landmark water rights decision in phase one of the proceedings regarding the State Water Resources Control Board’s (SWRCB) lack of jurisdiction over pre-1914 appropriators and the SWRCB’s violation of BBID’s constitutional due process rights. Represent BBID in an enforcement action before the SWRCB, resulting in a dismissal of the complaint for the prosecution team’s failure to prove its case. Monterey Coastkeeper v. Monterey County Water Resources Agency, Sixth Appellate District Court of Appeal, Case No. H042623. Draft Amici Curiae brief on behalf of the Association of California Water Agencies, the League of California Cities, and the California State Association of Counties in support of appeal by the Monterey County Water Resources Agency, recognizing the vital interest in ensuring that public water agencies, cities, and counties managing waterways in California have clear guidance on their obligations under the Porter-Cologne Water Quality Control Act, Water Code section 13000 et seq. Monterey Coastkeeper (Plaintiffs/Respondents) v. State Water Resources Control Board (Defendant/Appellant) and Grover Shipper Association of California (Intervenors/Appellants), Third District Court of Appeal, Case No. C080530. Draft appellate brief on behalf of farmers and growers in the Central Coast agricultural region regarding issues of critical importance to the future effective administration of California’s principal water quality statute, the Porter-Cologne Water Quality Control Act.